Each client is different. Each portfolio is individually customized to fit clients’ unique circumstances. Even before we begin, Nevastar drafts an Investment Policy Statement (IPS) that forms the basis of our relationship. We work with our clients to create individually tailored risk/return investment objectives. This can include yearly performance goals, volatility targets and maximum acceptable drawdown limits. 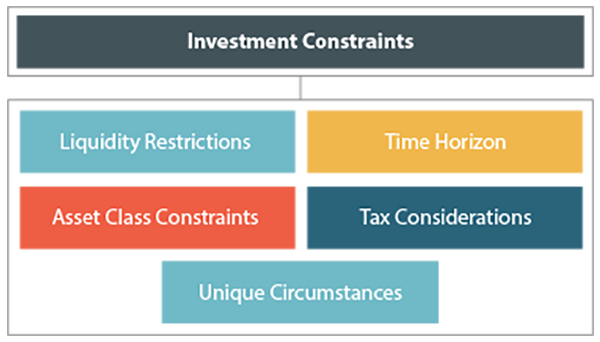 Investment constraints encompass a wide variety of factors such as Liquidity Restrictions, Time Horizon, Asset Class Constraints, Tax Considerations and Unique Circumstances. We then define a maximum limit of equity risk in the portfolio based on the client’s IPS. The IPS in turn forms part of our Investment Management Agreement (IMA) which governs the contractual relationship with our clients.